Even by Japan’s already impressively high standards, Hokkaido is beautiful. Taking a cruise on an icebreaker ship in Hokkaido is an unforgettable way to explore this wilderness. Hokkaido is the second largest island of Japan, and its largest prefecture. About 43 km north lies the Russian island of Sakhalin. Beyond that lies the coastline of Siberia. This most northerly of Japan’s islands is still largely untamed and wild. It’s also the harshest and coldest, with average January temperatures ranging from −12 to −4 °C (10.4 to 24.8 °F). None of which puts off more brown bears making Hokkaido their home more than anywhere else in Asia, outside Russia. 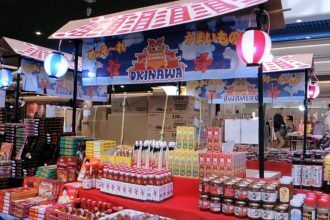 Whilst it is rarely on the must-see list of people visiting Japan for the first time – that is an oversight. Hokkaido offers the explorer myriad opportunities for adventures that will get you closer to Japan’s natural landscape than few other places can. If you have a taste for more unconventional modes of transportation, and rare opportunities, then joining an icebreaker ship off the coast of Hokkaido delivers on both counts. 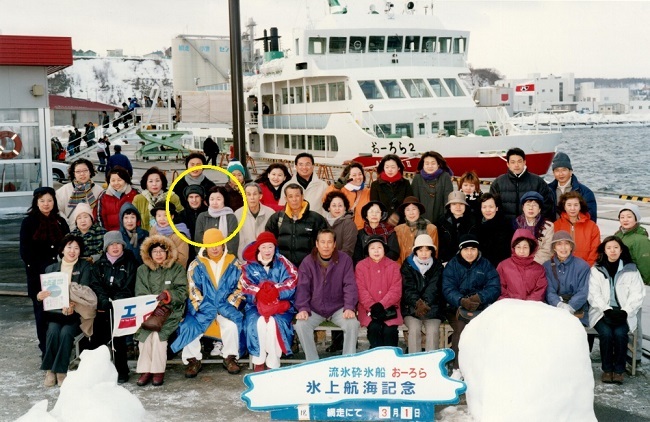 On my first trip to the island in 2001, my wife and I went on an icebreaker ship in Hokkaido, and to this day it remains an unforgettable experience. One I thoroughly recommend. More on this, with photographic evidence, below. The Sea of Okhotsk lies between Hokkaido and the Russian island of Sakhalin. It is a forbidding landscape in winter, but affords ideal conditions for observing the massive annual ice floes. 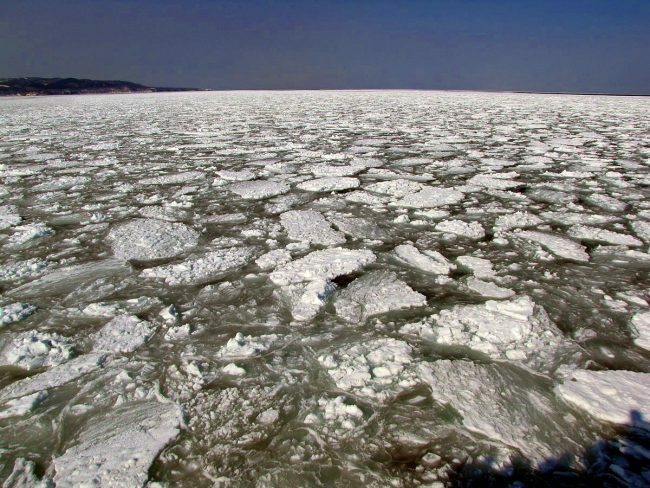 During the midwinter ice floe season (typically between the end of January and end of March), it is possible to travel aboard icebreaker ships. It is sometimes possible to see the ice at the start of April but it’s best to check first and this can vary from year to year. As well as enabling you to experience first hand the thrill of cutting through the drift ice, it’s a chance to spot the local wildlife. The area is considered one of the richest north temperate marine ecosystems in the world. It is home to an abundance of fish, bird and marine mammal life. 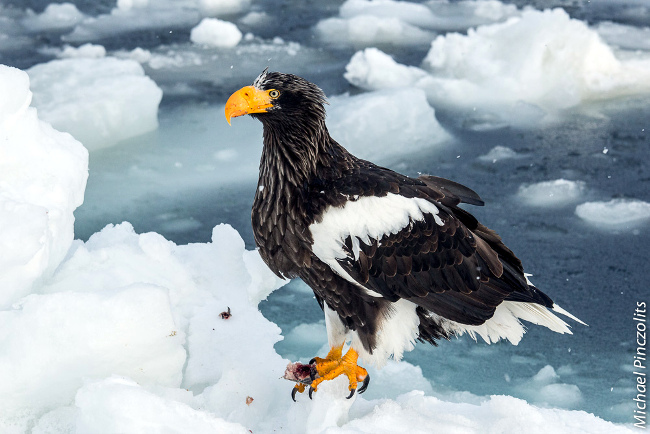 Known as a ‘bird lover’s paradise’, the Okhotsk Sea’s shores serve as a haven for large colonies of the common and thick-billed murres, tufted puffins and Steller’s sea eagle the world’s largest raptor. As well as the fish and mammals in the sea itself, it is possible to see the eagles, seals, and even Ezo Red foxes actually on the ice flows. A few companies offer prearranged icebreaker trips. This is one of those times when joining a prearranged tour really is the easiest way to marvel at this spectacle. 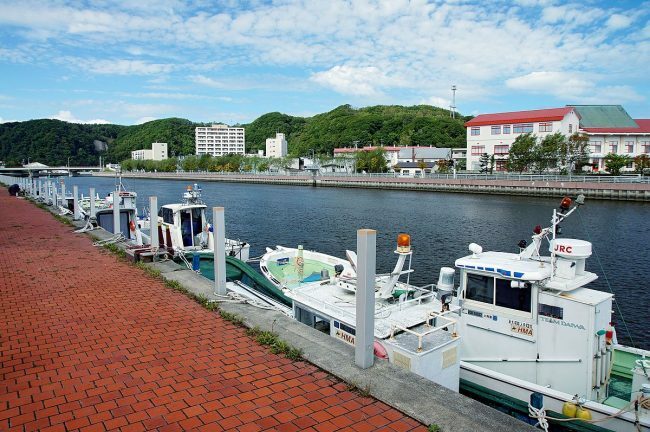 Tours operate out of two main harbours in the region: Abashiri and Shiretoko. Located near Hokkaido’s eastern tip, in Abashiri the sea remains an important part of the community as well as the economy, as fishing, oysters, and seaweed are still an important means of livelihood for many people living here. A further 90 minutes east by train from Abashiri, the Shiretoko peninsula is home to the Shiretoko National Park. The name Shiretoko is derived from the Ainu word sir etok, meaning “the end of the Earth“. Whichever harbour you choose to cruise from, whilst the ship you’ll likely join is geared towards carrying tourists, nevertheless, they were built for their main purpose – breaking ice. So don’t expect too much in the way of luxuries. 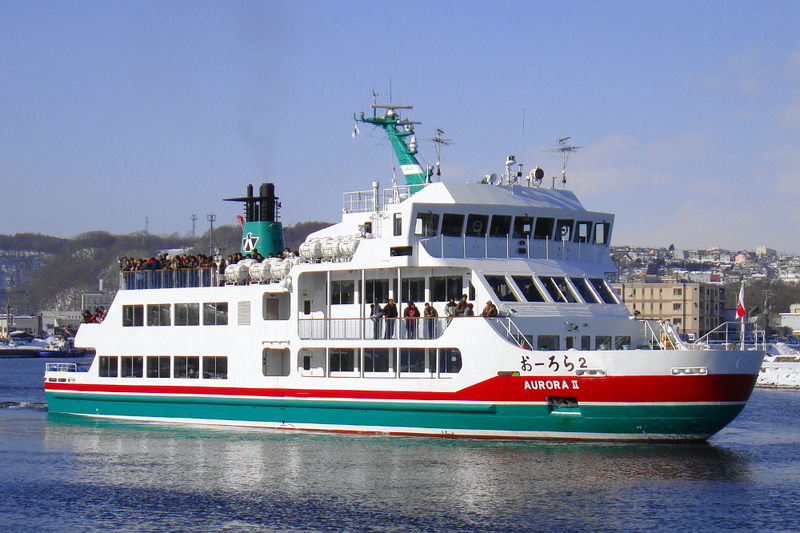 The ship we took (the Aurora II in the photo) sailed out of the harbour in Abashiri. The white capped mountain ranges of the Shiretoko Peninsula can be seen on the horizon as you head out into the Sea of Okhotsk, providing an impressive backdrop to the start of the journey. Temperatures will always be cold when the ice is flowing. Add to that any wind chill factor, and to keep the worst of the freezing atmosphere out, you’ll need to wrap up in the warmest clothing you have with you. But that bracing wind is all part of the experience, only serving to make it all the more impressive that Hokkaido’s impressive array of wildlife can survive out here on the ice – even in the deepest of winters. 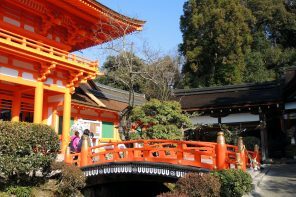 However, if you’re lucky, you may have one of those ideal Japanese winter days, when warm sunshine and clear blue skies temper the worst of the ambient temperatures, and afford the perfect conditions for taking in the awesome views. 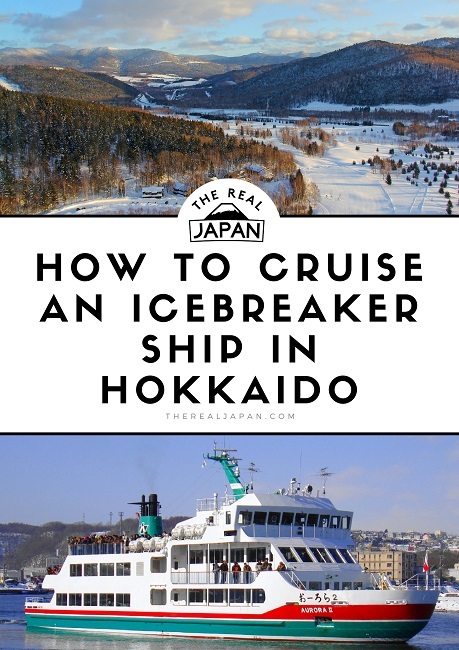 One thing worth considering if you are thinking of taking a icebreaker ship in Hokkaido is if you want to factor in travelling around the neighbouring landscape, taking in the local landscape as well. There are some, lasting from as little as 4 hours, to as long as 14 days tours that include both cruise and siteseeing. We did this with our tour. A coach took us up to Lake Mashū in the Akan Mashū National Park. Lake Mashū is a volcanic crater lake surrounded by steep walls 200 metres (660 ft) high. It lays claim to being the clearest lake in the world with visibility down as far as 41 meters. The views from up here down into the lake are said to be impressive. Unfortunately, on the day we visited there was a lot of low cloud interrupting our view. Nevertheless, as Akan is an area of volcanic craters, crystal clear lakes, hot springs and forests, it was still worth it for what we did see enroute. Prices are very reasonable. Cruises like ours on the Aurora II out of Abashiri cost typically less than 3,500yen per adult, and about half that for children. Tickets are available, priced for adults and elementary school-aged children (infants can ride the ship for free). A discount on the standard adult fare is available for group bookings. Check with individual tour operators for confirmation of details. At the busiest times of the season ships can get fully booked more than a month in advance. Therefore, to be guaranteed a cruise on a day that suits you, it is best to book your tickets in advance. If you want to make the most of your time in the region and factor in some local siteseeing as well as an icebreaker cruise (as we did, and I recommend you do), then there are a few options. Each includes at least one of the highlights featured in this article. Explore the wild beauty of Lake Akan in Hokkaido by paddling a Canadian canoe for two people. Meet the wildlife of Akan National Park and paddle the canoe between the common reed near the lake’s shores. Start in Sapporo and end in Akan National Park! 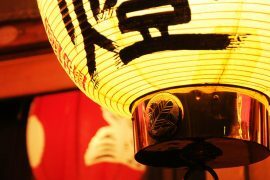 With this adventure tour you have a 9 day package taking you through Sapporo, and 8 other destinations. This is a small group tour that includes hotel accommodation as well as an expert guide, meals, transport and more. Start in Sapporo and end in Abashiri! With the bicycle tour Highlights of Hokkaido, you have a 14 day tour package taking you through Sapporo, Japan and 6 other destinations in Japan. Highlights of Hokkaido includes hotel and hostel accommodation as well as an expert guide, meals, transport and more. There are multiple direct flights from Tokyo (Handea airport) to Memanbetsu Airport, taking 100 minutes. Options via either flag carrier Japan Airlines (JAL) or low cost airline Air Do. Abashiri is 30 minutes by bus from Memanbetsu Airport. Check flight options via Skyscanner. Since the opening of the Seikan Tunnel connecting Hokkaido to the main island of Honshu it has been possible to catch a train to the island. JR’s Tohoku/Hokkaido shinkansen run between Tokyo to Hokkaido’s capital Sapporo – where you’ll need to change for services to Abashiri. The Japan Rail Pass can be used for this trip. Sapporo > Abashiri – The quickest drive from Sapporo to Abashiri is 334km, taking around 4hr and 30mins via Routes 12 and 40. Note: Route 40 is a toll road. See the Route on Google Maps. Sapporo > Shiretoko – The quickest drive from Sapporo to Shiretoko is 421km, taking around 6hrs via Routes 12 and 40. Note: Route 40 is a toll road. 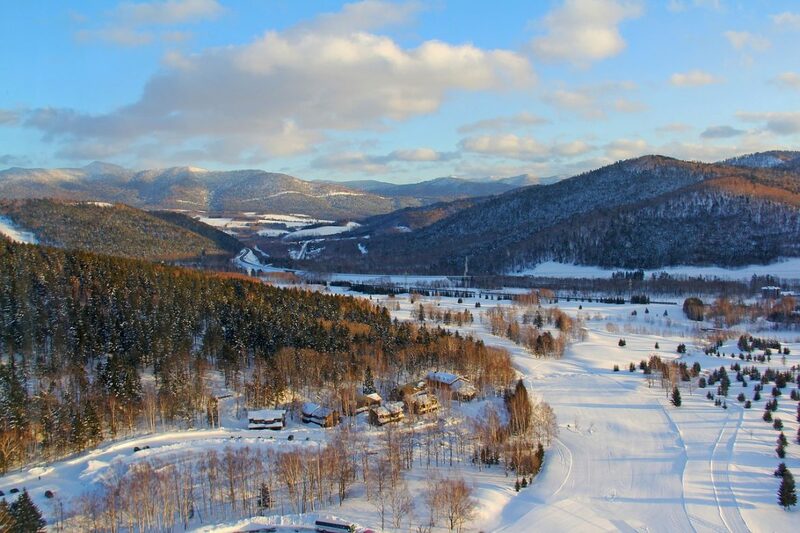 Abashiri – Booking.com has 18 properties in Abashiri. See the list of accommodation in Abashiri. 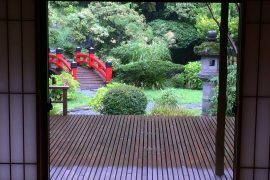 Shiretoko – Booking.com has 7 properties in Shiretoko. See the list of accommodation in Shiretoko. Sapporo – Booking.com has 184 properties in Sapporo. See the list of accommodation in Sapporo. The island of Hokkaido is justifyably known as Japan’s largest wilderness and for being the coldest part of the country. A cruise on an icebreaker ship in Hokkaido into the Sea of Okhotsk is an unforgettable experience. One I can completely recommend. Just be sure to pack your thermals!